Naomi is Associate Professor in the ANU Centre for Social Research and Methods, Australian National University. Her broad research interest is to integrate social and epidemiological methods to examine and address inequalities in child and youth health and development across populations and place. This includes social epidemiology and qualitative research to understand racial-ethnic differences in child health and development and explanations for observed differences, particularly the patterns, mechanisms and prospective influence of adverse early life exposures and stressors, including racial discrimination. She is also interested in socialisation processes and outcomes among children from stigmatised and non-stigmatised groups, including development of intergroup attitudes, bias, stereotypes and prejudice. A third area of her research is focused on initiatives to counter discrimination and promote diversity and inclusion, particularly related to race/ethnicity and gender. 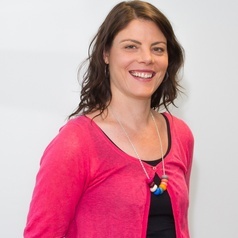 Naomi has a PhD in population health (Melbourne) and also completed a four year NHMRC post-doctoral fellowship at the University of Melbourne with training in social epidemiology. In 2014-15 she was a Visiting Scientist at Harvard T.H. Chan School of Public Health. She was awarded a four year NHMRC career development fellowship in 2016.